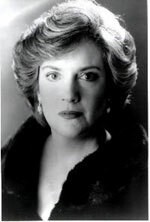 Born in Portugal, Jennifer Smith is one of the foremost sopranos of her generation. Her more than fifty recordings include the B Minor Mass with Frans Brüggen, the Bach Magnificat and Vivaldi Nulla in mundo pax sincera with Michel Corboz, Les Nuits d’Été with Sir Charles Mackerras, the Burgon Requiem with Richard Hickox, de Falla Retablo de Maese Pedro with Simon Rattle, Handel Amadigi and La Resurrezione, Lully Phaëton, Marais Alcyone and Rameau Platée with Marc Minkowski, Messiah with Jean-Claude Malgoire, L’Allegro, il Moderato e il Penseroso, Hercules, The Fairy Queen, King Arthur and Les boréades with Sir John Eliot Gardiner, Ottone with Robert King, Silete venti with Trevor Pinnock, Exsultate Jubilate with Patrick Peire and Vivaldi Dixit Dominus with Stephen Cleobury. Most recently released are Alfred and Serse with Nicholas McGegan, Greif Chants de l’Âme, Orphée aux Enfers with Marc Minkowski and Saudade, Amor e Morte (Iberian Song Books of the 16th and 17th centuries). Concert work has included performances with the Aalborg Symphony Orchestra, The Camerata St Petersburg, the CBTO, the CLSO, Collegium Instrumentale Brugense, the English Baroque Soloists, the English Chamber Orchestra, the Gulbenkian Orchestra, the Israel Chamber Orchestra, Les Arts Florissants, the Manchester Camerata, the OAE, the Philharmonia, the Philharmonia Baroque and the Singapore Symphony Orchestra. Recital engagements have included the Alicante Festival with Michael Kiener, the Ittingen and Mondsee Festival with Andras Schiff and the Wigmore Hall with the late Geoffrey Parsons, whilst television appearances have included Judas Maccabæus with Sir Roger Norrington, Christmas in Rome with Trevor Pinnock and Tony Palmer’s film England, My England.